Now that our house is starting to actually be livable, I’m going to be able to blog more. Yay! 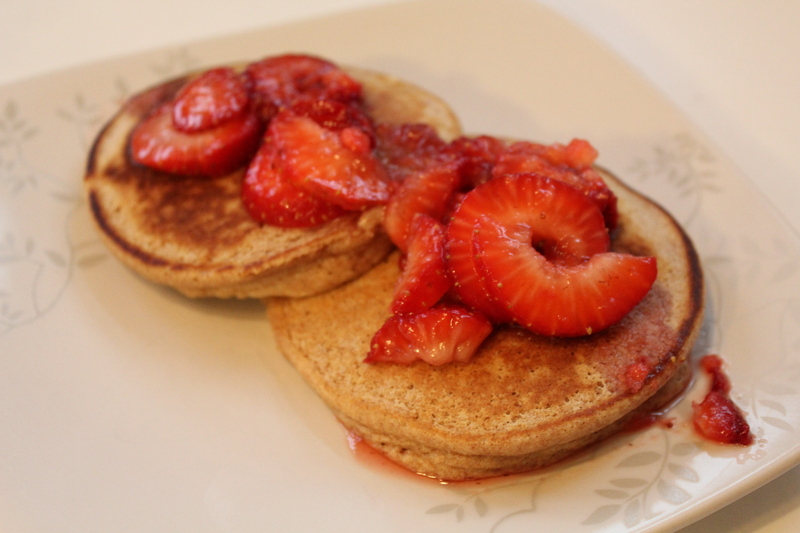 For my first post of the new year, I thought I’d share a new weekend favorite recipe – strawberry pancakes. Starting by mixing together the flour and baking powder in a medium bowl. In a larger bowl, mix the egg, milk, salt, and sugar. Add the flour mixture to the liquid mixture and stir just until combined. Cook on a griddle until done. 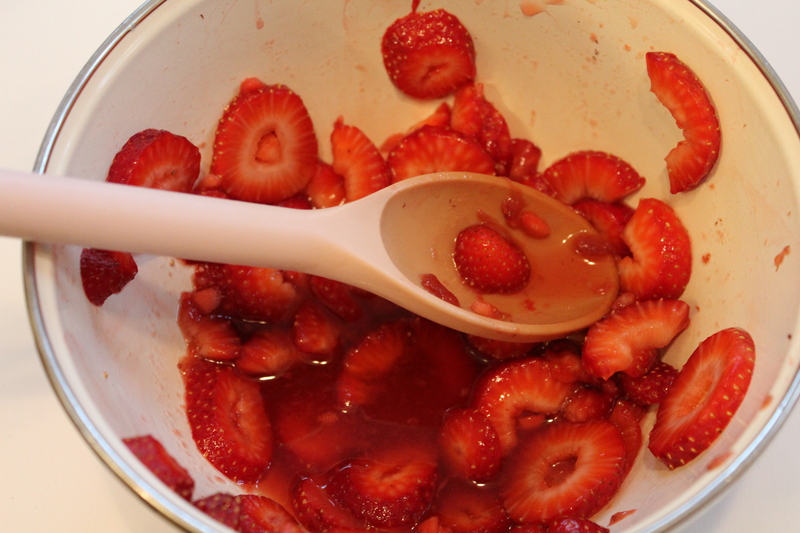 For the topping, stir all ingredients together gently, so the strawberries don’t get mashed. Top the pancakes and if you’d like, add some whipped cream.